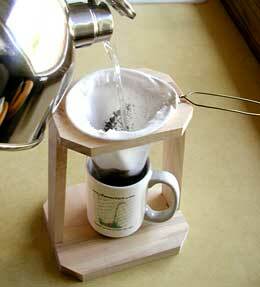 The RunnerDuck Coffee Maker, Chorreador de CafÃ©, step by step instructions. This project appeared in our May 16th, 2003 Newsletter. A what you say? A Costa Rican coffee maker. It's funny how some of these projects are developed but this one came to us in a round about way from one of our readers, Michael O'Reilly. We were exchanging emails about Costa Rica, since we own a little piece of property down there, and he sent me a web site to check out. While surfing around that web site I stumbled onto an interesting site about Costa Rican coffee. We are coffee drinkers, roast our own beans and often buy coffee beans from Costa Rica. Any how we took the picture they showed and made our own coffee maker. 5" X 18" X 1/2" Maple or your choice of wood. 6" X 8" X 3/4" Maple or your choice of wood. Cut the base out of 3/4" maple, 7 1/2" X 6". Chamfer a 45 degree cut 1" in from each corner. Cut the two short sections, one on each end, 15 degrees. Cut two supports from 1/2" pieces 9" long at 5 degrees on each end. Make sure the angles go the same direction on each end. Cut the top out of 1/2" maple, 6" X 4 1/2". Chamfer a 45 degree cut 1" from each corner. 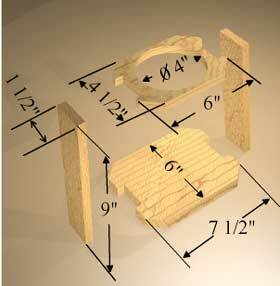 Cut a notch on each end of the top and base to fit the 1 1/2" supports using a dado blade. 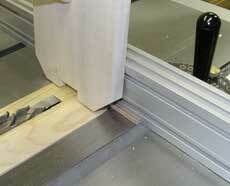 Set up the miter with a small piece of wood at the base to give the notch a 5 degree angle. Use a piece of backing on your parts to keep them from breaking out. Mark the center of the top and draw a 4" circle. 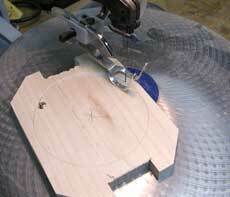 Cut out the circle with a scroll saw or saber saw. Glue and nail the pieces together and you are almost ready to start making coffee. Make the basket from a stiff wire like a clothes hanger and a piece of cotton. Bend the wire to make a handle and a 4 1/4" circle. Cut out two of the pattern from our web site at www.runnerduck.com/images/coffee-pattern.gif. Sew the two halves together and the top folded over for the wire to go through. You should now be good to go brew a great cup of coffee. For instructions on how to use the coffee maker go to www.zurqui.com/crinfocus/cr/coffee.html and enjoy. 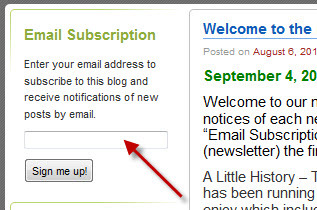 Thanks a million Michael for pointing us to this site.